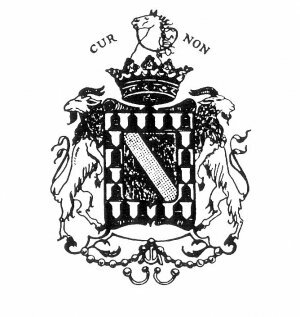 The annals of Auvergne preserve the memory of the noble Motier de La Fayette family since the 11th century. This period corresponds with the beginning of the 3rd dynasty of French kings and the first crusades. Their fiefs and their lands were located in many of Auvergne’s regions resulting from different branches and alliances, however their origin is AIX, north of Saint Germain l’Herm (Puy de Dome) and approximately 30 km to the north of Chavaniac. The first feudal castle was destroyed and completely replaced by a fortified house built nearby; more accessible but well protected. Very little remains today due to its destruction by fire during the seventeenth century. During the thirteenth century, the family split into two branches; each one taking the name of one of the two neighboring but distinct fiefs. Ø Another ancestor who fought with Saint Louis in Saint Jean d’Acre. Ø Maréchal Gilbert de La Fayette, who fought alongside Joan of Arc, was an adviser to Charles VII and one of the principal leaders of the army that continued the struggle leading to the definitive expulsion of the English from France. He accompanied Charles VII to le Puy en Velay in 1439 and donated to the cathedral English banners taken in 1421 during the battle of Baugé. They were destroyed during the revolution of 1789. The Maréchal, at his request, rests in peace in the abbey, La Chaise Dieu (Haute-Loire). Ø Another was an artillery expert under Francois I.
Ø Father Joseph, the Capuchin who had a very strong, behind the scenes, influence on Cardinal Richelieu. Marie Madeleine’s son, René Armand, Brigade General, got the family’s patrimony back in order after it had suffered from the mismanagement of its territory. He was the first Marquis de La Fayette and also was the last male representative of the elder branch. He authorized (in 1692), with the approval of Louis XIV, Charles du Motier de Champetieres, Baron of Vissac, and all his male descendants, to take the name, La Fayette. His only daughter, who married the Duke of Tremoille died without an heir and completed her father’s intention by bequeathing (1717) the title La Fayette and its property to Jacques du Motier de Champetieres, Charles’s grandson. They quickly left their original fief, which was located at a place called "Le Bouis". Robust vestiges from the fifteenth century can be found there. This fief, through marriage entered into the De Vogue family. They settled in the Château de Vissac and received the title of Baron. Among the more well known members of this family are John de Champetieres, Seneschal of Auvergne (1604) and Jean Marie, Brigade General and Governor of Landau. The elder branch died out in the early 18th century and the Champetieres inherited the title and property as desired by the last representative of the elder branch. Edouard de La Fayette, second Marquis de La Fayette, was the last to reside at the Château de Vissac. He married, in 1708, Catherine Suat-Chavaniac who came from a family from Langeac that was ennobled by Charles VII. Through this alliance he took possession of their XIV century manor. Burned down in the late 17th century, the mansion was restored in 1701, and the couple definitively left the Château de Vissac for their new home in 1708. Both of their sons were born there. The elder Jacques, heir to the title, was killed during the siege of Milan (1734). The titles were therefore inherited by his brother Michel, who in 1754 married his cousin Marie Louise Julie de la Rivière (daughter of the Marquis with the same name who was wealthy and had a better standing within the court of the King of France). On September 6, 1757 the future "hero of two worlds" was born in Chavaniac. The next day he was baptized in the castle’s chapel. Two years later his father, Colonel des Grenadiers de France, was killed at Minden.